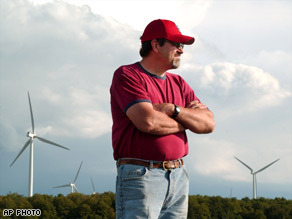 DeaconDavid’s comment: I’ve been a big fan of wind power, but I’ll admit that I have never lived near the wind turbines, so I don’t know about the sound and the shadows, but even with that it seems like a better alternative than the high price of gas that we are paying now. Let me know what you think by leaving your comments. John Yancey knows the towers are pumping clean electricity into the grid, knows they have been largely embraced by his community. But Yancey hates them.